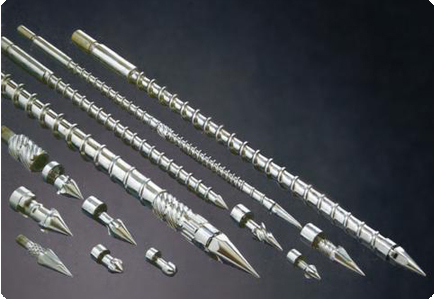 Injection Screws, Flite Technology, Inc.
New screws can be made in 5-10 working days. Rebuild in 3-5 working days. Hundreds of injection feed screw tips, tip assemblies, nozzles, shut off values, non return valves, end caps, check rings in stock. Available in all materials including H-13 HT and CPM-9V HT. Injection barrel worn out but you can't afford to shut the machine down? Have us reline one our used trade in barrels while your machine keeps running. Expedited deliveries available.